This is a newer development in Boca Raton. Homes here offer a standard of excellence of superior design and quality craftsmanship. Azura homes for sale are located between some of Boca Raton’s most well-renowned country clubs such as the St. Andrews Country Club (to the West) and the Polo Club Boca Raton (to the East). 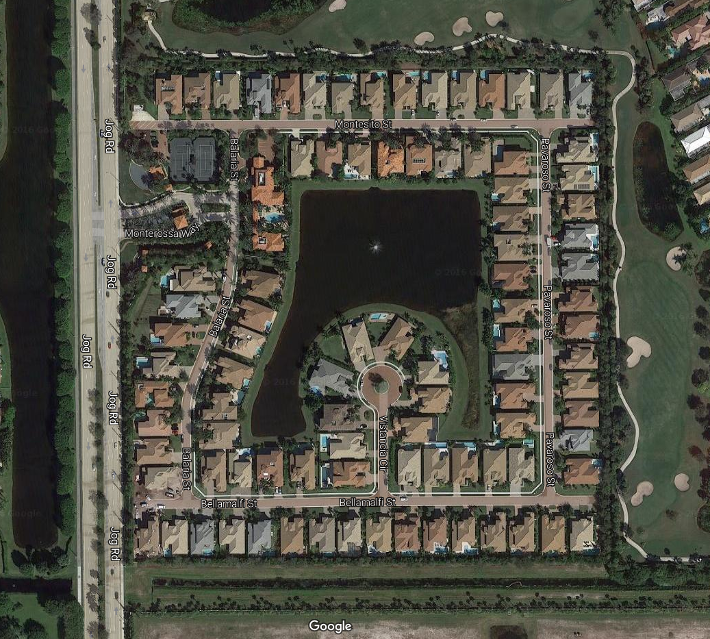 This is a prime real estate development in Boca Raton and many residents are proud to call this their home! We invite you to learn more about Azura homes and their wonderful amenities or browse through some of the most recently listed properties in Azura below. Situated along Jog Road and Palm Lane, Azura homes are just a short drive from several golf courses and miles of sandy beaches. These are impressive luxury homes that were made with the highest quality materials and high-end finished. Each home is adorned with an array of luxury amenities such as as private pools and tennis courts, summer kitchens, putting greens and more. These are spacious properties that are upwards of 3,500 square feet in living space. This community has low homeowner’s association fees and no equity required. Azura residents enjoy hosting events in their stately clubhouse and pool area. There is also a top-notch fitness facility, children’s playground and 24-hour guarded security. If you’re looking for a luxury home in Boca Raton, Azura might just be the place you’ve been looking for. If you’re interested in buying property in Azura or another part of Boca Raton, be sure to contact Jean-Luc Andriot or call 561-406-8880. As a local expert Jean-Luc will ensure that your next real estate transaction is both positive and profitable.